Construction in Process (CIP) (Also commonly referred to as "Construction in Progress") is an accounting methodology that reflects the aggregation of all anticipated development costs that are devoted to all aspects and facets of the overall development project. CIP accounting allows developers to account for the construction process even when many line budget line items are only partially complete. CIP refers to all resources that will represent a cost to the development, including but not limited to, labor and overhead costs incurred for all development related endeavors, at various stages of the construction project and provides a transparent financial standing regardless of a project’s status along the development timeline. 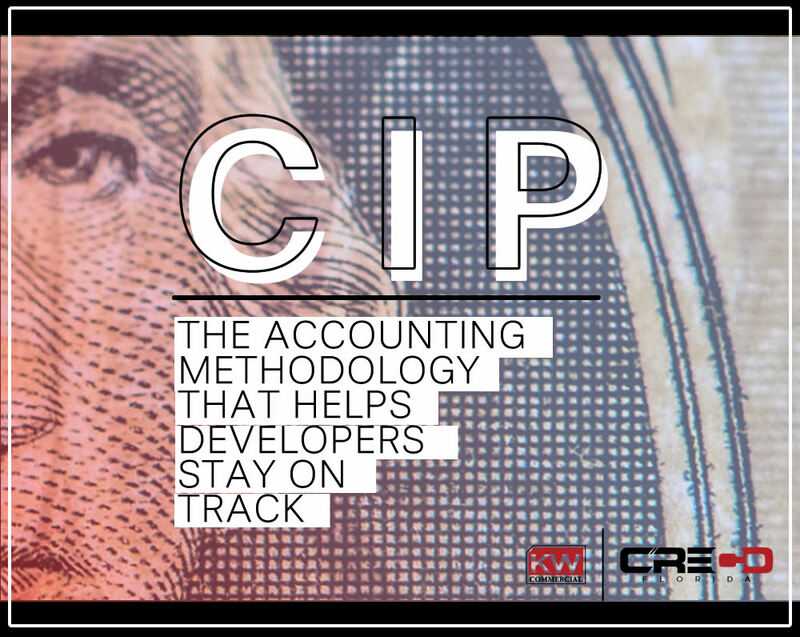 The CIP accounting method is often preferred by developers because it highlights the transition of expenditures from one stage of development to the next. Utilizing CIP accounting, project stakeholders can view the balance in any CIP account to identify the development costs incurred to date – even if that particular line item is only partially completed. All CIP accounts are designated as assets on the development’s balance sheet. Upon completion, the CIP accounts are converted to final "construction costs," which can be used to calculate overall project expenses, and therefore, overall project profitability. The CIP accounts on the balance sheet carry a debit balance and are reported on as an asset of the development entity. These costs are aggregated until the point the project goes into "service." At this point, the building becomes an asset, and a basis is established for depreciation and other purposes. Construction in Process accounts are regularly used within the real estate industry because it is common for property assets to be removed from the market while undergoing significant redevelopment or renovation. CIP accounts represent assets that aren’t usable or marketable because the project is still in the process of being constructed, renovated, or rehabilitated. Therefore, accurate CIP based financial reports will indicate whether a project is over or under budget projections. As a general rule of accounting, costs are not recognized in financial statements as income and expense until a job is complete. Like construction project, manufacturing production carries multiple stages and milestones before the completion of the project. For example, car manufacturers spend millions of dollars over dozens of years to come up with a new line of vehicles. This case is analogous to the entitlement resources devoted to an extensive real estate development. In both examples "in-process" accounts are utilized to track cost basis of a project until the last asset is available to be put into service. WHAT IF THE PROJECT ISN’T PURSUED? If a developer determines that a project is not feasible at any point, all CIP accounts are converted to a direct expense for the development entity. Assuming that no assets were constructed or partially constructed, the preliminary due diligence resources devoted to the investigation of a project should be relocated to the company’s Income Statement and classified under appropriate expense categories. This additional due diligence related expense will establish a loss or offset for the entity, which can be used to counter any income generated from other related projects.